Like a lot of other areas in the world, if you’re at a restaurant where you eat with your hands, like I found frequently in Malaysia, often no utensils are used. Occasionally you find chopsticks and definitely no forks, no knives, nothing. Not even a spork! Westerners are used to using our hands for foods like hamburgers, fruit, and bite sized appetizers, but nothing as little as rice, and nothing messy. The Cucumber Method: Beyond a bowl of murky water, rarely were any napkins provided, or even available upon request. Occasionally you’d find another bowl with sliced cucumbers, which are not there to be eaten but rather to be squeezed and rubbed until whatever crud you have gets off your hands. 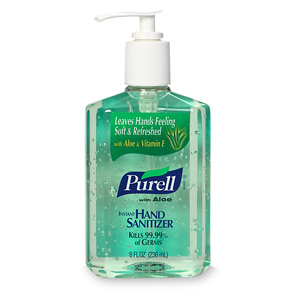 If you’re really lucky, in rare instances, instead of the cucumber solution for hand-washing is a dispenser of tiny tissues. Given the previous two bullets, this was a welcome addition. It’s often custom to eat with your hands in Asia, and the food is not exactly neat, so the tissues dissipate right in your hands. Napkins? Never heard of them. Tissues are apparently the same thing. People often eat with their hands, but there’s typically no paper (napkin, towel, tissue) to wipe them afterward, and after going to the bathroom there’s often no soap so they’re just rinsing water on their hands. Then they go back to eating with their hands. Here’s the icky part about eating with your hands in Asia..
Bathrooms often don’t have toilet paper (or tissues) – get used to making sure you have your own supply with you, or do as the locals do. In most of Asia, locals don’t use “wasteful” toilet paper – they use a hose next to the toilet. That’s right, it’s the same hose that everybody touches. Perhaps that solution would be fine, if only there were soap…[not a typo]. They eat with their hands, but often don’t provide soap to clean those hands. Bathrooms rarely have paper towels or air drying. and in most cases they didn’t have soap (including nicer places). Apparently they believe in the cleansing power of water and this whole soap thing is a just a fad, and don’t believe in Hepatitus A. How can a country where everyone eats with their hands not have soap in the bathrooms!?! I found that last part rather disturbing. Now let’s tie this together. Especially in small towns, people often eat with their hands in Asia, but there’s typically no paper (napkin, towel, tissue) to wipe them afterward, and after going to the bathroom there’s often no soap so they’re just rinsing water on their hands. Afterward they go back to eating with their hands. Thus, I felt like my time in Malaysia was unofficially sponsored by Purell hand sanitizer and Kleenex, because hand sanitizer and tissues were must-have items in my day-bag at all times. 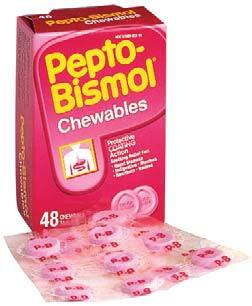 Pepto tablets before meals were a must, especially in unsanitary, dirty, or just questionable conditions . While many people I met got travelers sickness, somehow in 6 months I only got sick once (Jordan in the desert) and not in SE Asia. Eat with your hands in Asia, but be prepared. With all of that said, I really loved the food in Malaysia, and it was one of the best countries for cuisine out of the 15 countries I visited on that trip. Just be prepared and you’ll love it! Below is the clip I referenced from the movie Demolition Man, which is set in the future. They had an unconventional method of washing their hands.